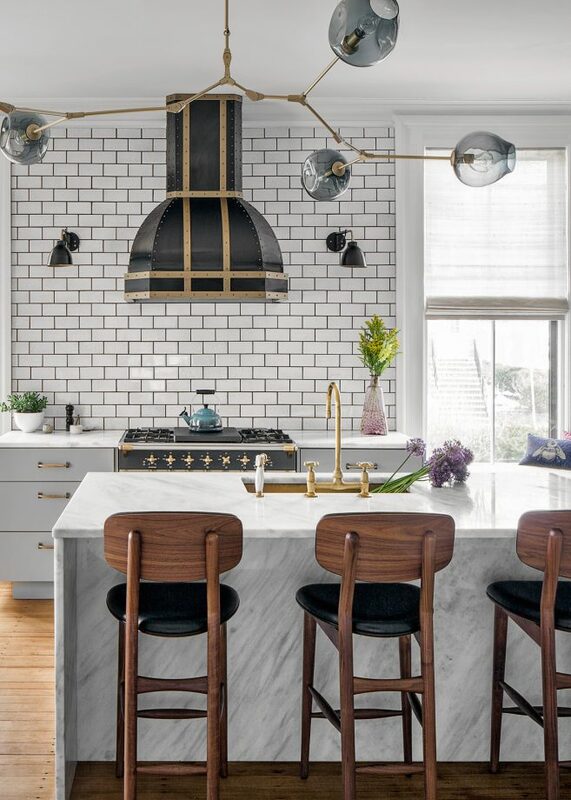 Kitchen Design Trends You Can Expect To See In 2019 | Central Construction Group, Inc.
“Trend” is a word you have to tread carefully around. To plan an entire kitchen renovation around a “trend” may seem ill-advised. But in 2019, it appears as though kitchen design is taking a turn for the timeless—with a few modern twists, of course. Here is our list of the kitchen design trends you’ll be seeing a lot of in 2019. A few of which, may stick around. The rose gold trend infiltrated all corners of fashion and design from jewelry to clothing to phones. And now kitchens. Copper and brass aren’t as stark as silver or gold and have a warm worldly charm. In large quantities, copper and brass can look cheap and chintzy, but as an accent color for cabinet hardware, faucets, and lighting fixtures, it works effortlessly with both a neutral and bold color palette. Now, major appliance brands are even jumping in on the trend. Beadboards are texture without the tussle. These farmhouse, shiplap-inspired cabinets create interest without distraction. Rather than their fully-framed cousin of yesteryear (maybe a little too country), the modern version is borderless, creating a clean, minimalistic, but earthy vibe. Open-faced cabinets are still cool, but so is stealth storage. From the pings in our pockets to the 24-second news cycle, we are seeing a huge push towards decluttering spaces through design, but especially our kitchens. Meant to be a gathering place free of distractions, more homeowners are opting to hide everything from food storage, to sinks, to small and large appliances. Concealed storage is a slight nod to the ever-popular minimalist movement, it’s more about turning down the noise in the space and focusing on what’s important—people and food. The use of natural and reclaimed wood has been popular for a few years. In 2019, mixing it with a treated stone like quartz or marble (bye bye, granite), fuses rustic and modern design to create a juxtaposition that is equal parts inviting and interesting. The days of stainless-steel-this and stainless-steel-that are over. We’ve traded shiny, bright and white, for warm, dark and moody. Matte black appliances, fixtures, faucets, and hardware serve to compliment warm woods rather than distract from them. Stark white kitchens are beyond over. This year, designers are finding new ways to add color that aren’t those scary orange countertops from the 1970s. Cabinets, upholstery, grout, and floors are all getting color treatment. If you’re brave enough to try millennial pink, go for it. But we think the real color MVP of 2019 is going to be blue. Choose a hue.